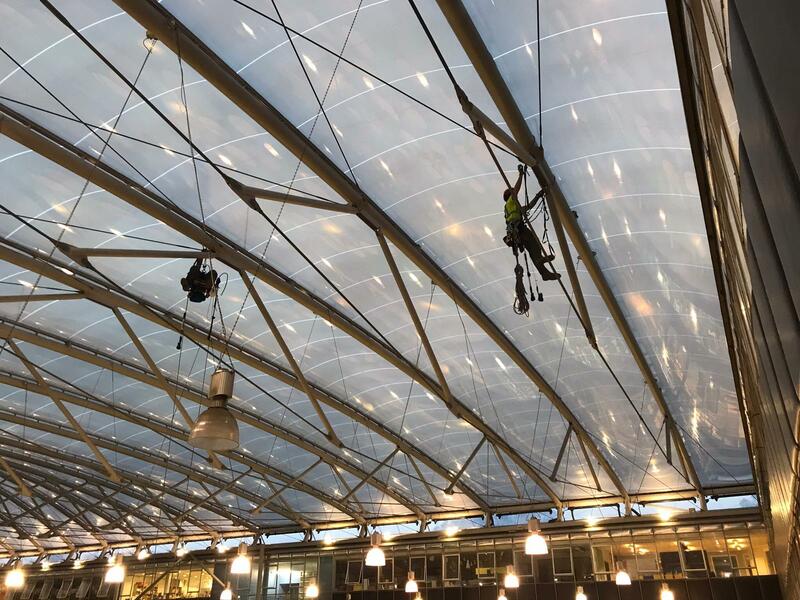 Apex Access Group are work at height specialists providing IRATA Rope Access industrial abseiling services, MEWP access cherry picker operatives and Fall Protection services for all building maintenance projects. Work at height specialists offering a variety of high level access techniques nationwide. Apex Access Group ensure to complete the required task using the safest and effective method of access. Hand picking top quality rope access technicians (industrial abseilers) , MEWP operators (cherry picker drivers) and work at height professionals for all aspects of high level maintenance and construction. We make certain to allocate specific trade specialists to each work at height task. Our rope access projects are completed on time and budget ensuring that the utmost level of professionalism is carried throughout. Apex Access Group utilise the use of IRATA industrial abseiling rope access trade experts. 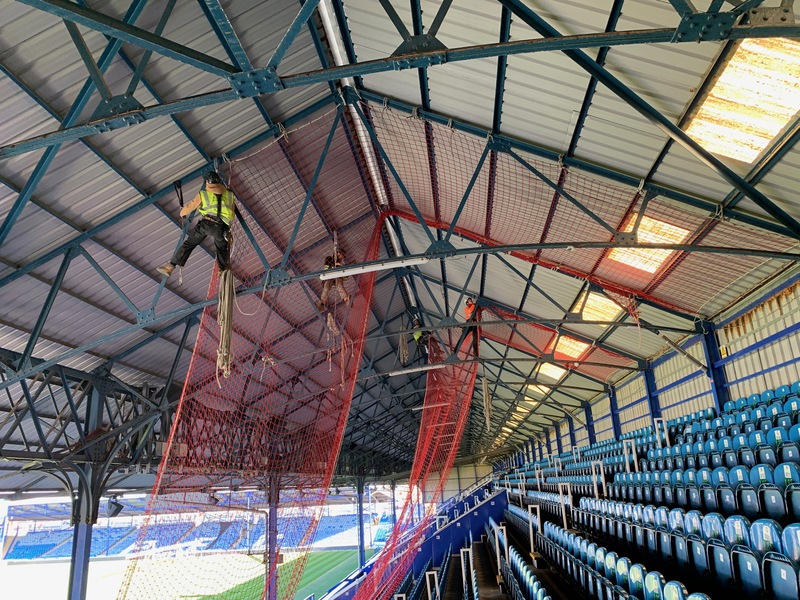 This method of access is extremely favourable as a cost effective alternative to scaffold for high level maintenance projects. Apex Access Group also apply the use of IPAF, international powered access federation, operators for all MEWP access, cherry picker / scissor lift projects completed such as a project where rope access would be less suitable as the work can be completed quicker and easier from a MEWP also reducing cost and project time whilst still maintaining an exceptional level of safety. This level of high safety standards are also passed through to any fall protection system projects such as horizontal lifelines. Our work at height technicians are mostly qualified higher than the UK legal requirements for peace of mind. Apex Access Group work with clients closely applying their knowledge of access methods on various high level maintenance projects nationwide. please view are services page to view the style of projects that we work on. Apex Access Group offer a turnkey service and are with you every step of the way throughout your project. From the initial survey and consultation stages to the project completion, our team are here to help. Based in the heart of Derbyshire, based between Manchester, Sheffield and Derby we deploy teams nationwide offering a free quoting service for any sized job. so please don’t hesitate to contact us and tell us about your project. For general enquiries or for a no obligation free quote please fill out the contact form and a member of our team will respond as soon as possible. 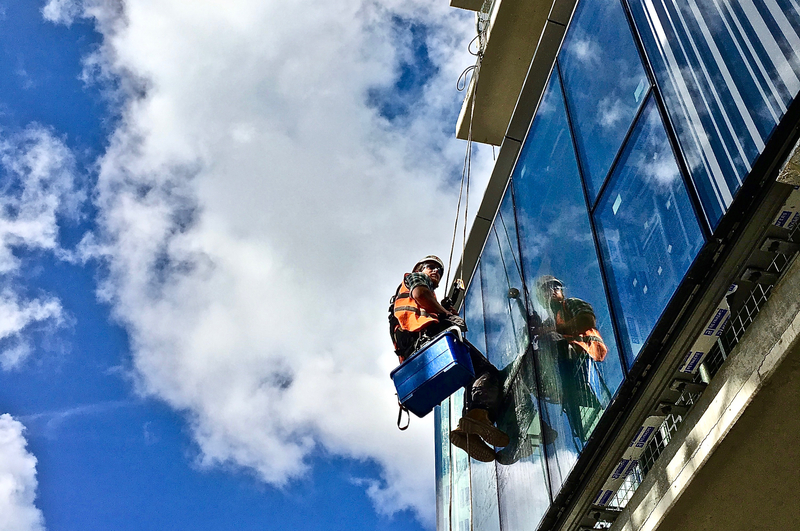 Apex Access Group are high access specialists with a passion for perfection offering rope access industrial abseiling, MEWP Access cherry picker/scissor lift operators and fall protection systems for building maintenance projects across the UK.